Lord, today we pray about the food shortage in Venezuela, along with some of the resulting issues. Lord, how frustrating that government regulation leads to more shortages and a black market! How frustrating that this black market even drives thieves to steal from schools! But, Lord, you see all of this. You are bigger than all of this. Please give the leaders of Venezuela wisdom in addressing these concerns. Please grant law enforcement success as they try to catch the thieves who are stealing from schools. Lord, our biggest concern regarding this is that people get enough to eat. We pray for these school children who are relying on the school food for their daily intake. Please provide for them. Help the thieves to see that they are causing children to starve--and to feel deep inner conviction that this is wrong. We also pray for those families who are taking their children out of school due to the need to stand in food lines, etc. Help them find ways to keep their children in school so the cycle of poverty can be broken. 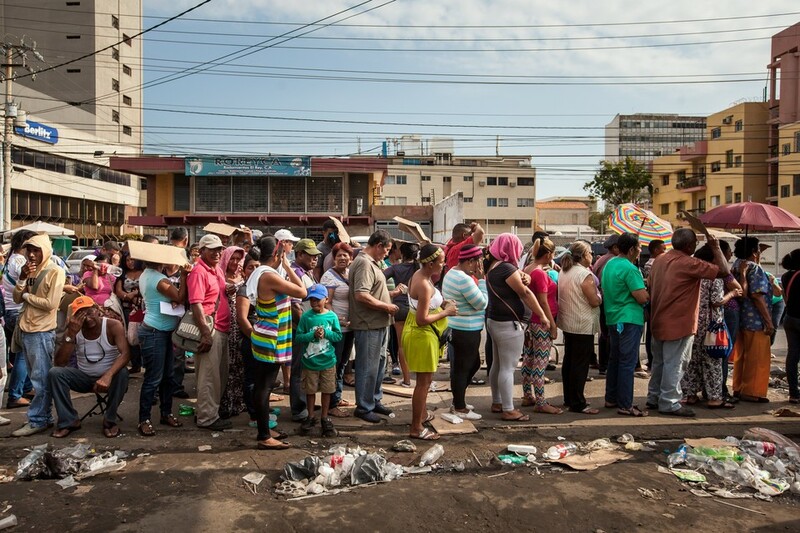 And as you provide food to eat, may the people of Venezuela also feast on your Word. In Jesus’ name we pray, amen. Read more here: http://latino.foxnews.com/latino/news/2016/06/24/criminals-now-stealing-food-from-venezuela-schools-as-scarcity-spreads/?intcmp=hplnws or http://www.wsj.com/articles/venezuelas-food-shortages-trigger-long-lines-hunger-and-looting-1440581400.